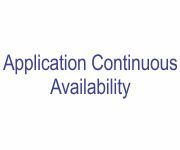 Neverfail’s Application Continuous Availability solution addresses both major and smaller scale outages by protecting applications directly. Neverfail Application Continuous Availability can meet RTOs of less than a minute and delivers RPOs of mere seconds, at a price point similar to less functional backup and replication solutions. 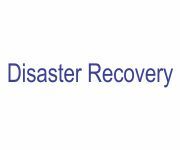 The foundation of ITCM is an inventory of IT assets, sourced and maintained automatically from existing catalogs and via agentless discovery, which has been optimized specifically for the purpose of profiling Disaster Recovery readiness. 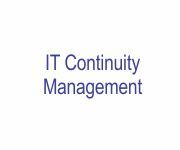 Neverfail’s IT Continuity Architect lets organizations reduce the cost and complexity of business continuity by automating the ITCM process. All organizations, large or small, need an effective business continuity plan to ensure their business keeps running – even in the face of a whole site outage at their primary data center location. SMBs may lack the budget for their own Disaster Recovery site, but they still need a solution that’s just as responsive and resilient as their enterprise brethren. SMBs need to be up and running after a disaster just as rapidly as any enterprise organization. Cloud Service providers are using Neverfail to offer Disaster Recovery-as-a-Service at unprecedented price points and levels of recovery service. SMB customers in particular stand to benefit from the truly disruptive combination of Cloud Computing and Neverfail technologies.